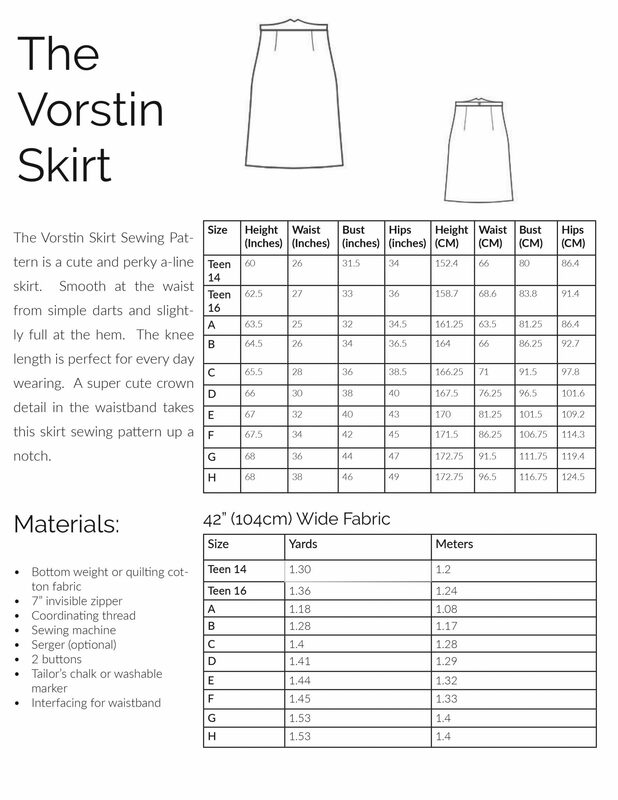 The Vorstin Skirt Sewing Pattern is a cute and perky a-line skirt. Smooth at the waist and slightly full at the hem. The knee length is perfect for every day wearing. 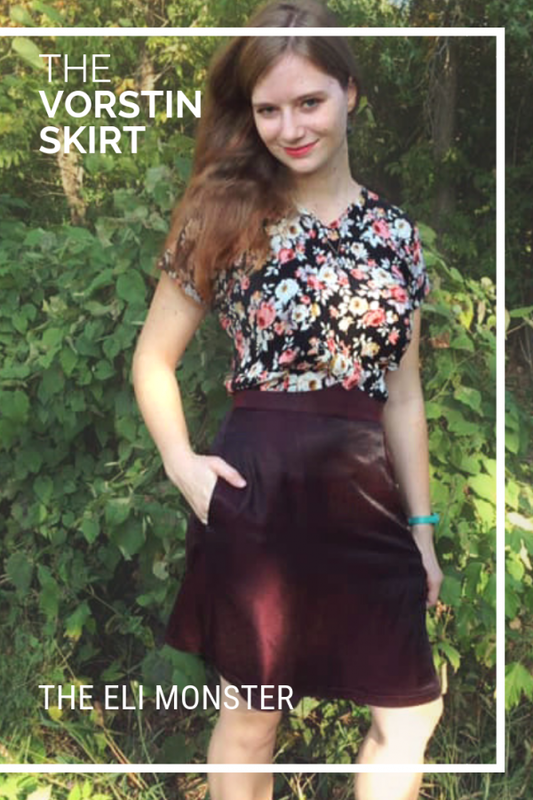 A super cute crown detail in the waistband takes this skirt sewing pattern up a notch. Wear with a pretty blouse and be instantly put together with minimal effort. 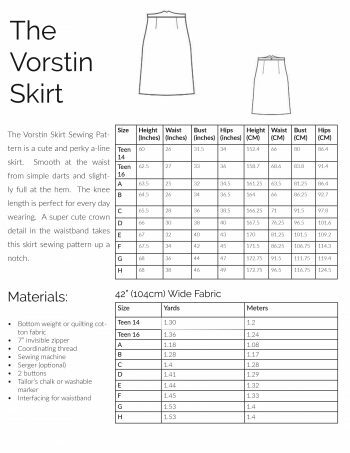 The Vorstin Skirt Sewing Pattern is a cute and perky a-line skirt. Smooth at the waist from simple darts and slightly full at the hem. The knee length is perfect for every day wearing. A super cute crown detail in the waistband takes this skirt sewing pattern up a notch. Wear with a pretty blouse and be instantly put together with minimal effort. Like the rest of The Eli Monster’s patterns, The Vorstin Skirt PDF Sewing Pattern is layered which means you only need to print the size you are making! All steps are accompanied by illustrations so you never have to guess where to sew or place. All pattern pieces for this skirt sewing pattern are computer drawn; to save paper, cutting dimensions for rectangular pieces is included in lieu of drawn-out pieces. Your skirt sewing pattern is instantly downloadable at checkout. If you signed up for an account with The Eli Monster, your pattern will automatically show up in your account in addition to being emailed to you. You will need Adobe Reader to open and read this PDF file and letter or A4 paper to print out the pattern. No paper copy will be mailed to you. Can I sell garments made from this pattern? You may sell items made from this pattern in small batches. Please credit pattern to The Eli Monster. This pattern is copyrighted; do not sell or copy.